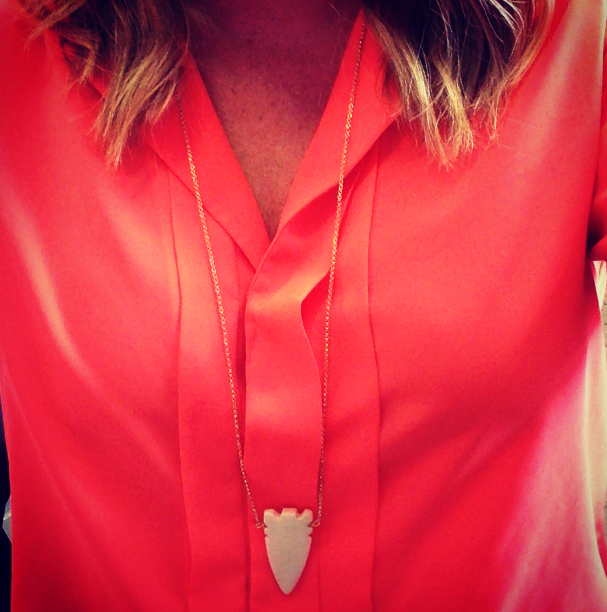 I’m feeling pretty bohemian chic at work today with my lovely new arrowhead pendant necklace. Purchased locally. Similar here & here.